Wilderness first aid (WFA) is a course for everyone planning a remote high adventure ranging from lay responders to medical professionals. It focuses on prevention, assessment, and treatment for an ill or injured person in a remote environment where definitive care by a physician and/or rapid transport is not readily available. This is defined as being an hour or more away from advanced care. WFA prepares participants to identify and address medical issues that can arise in the backcountry. WFA courses contain substantial medical information and teach skills to respond to medical emergencies in the wild. WFA training can and has enabled Scouts and Scouters to provide assessment and treatment miles from advanced care. Treatment skills are important, but so is educating Scouts and adult leaders to recognize illnesses early and minimize the potential for injury. WFA skills can save lives. Finally, we depend upon emergency services in urban areas. In the event of catastrophes, these services may be strained. WFA knowledge can be lifesaving during hurricanes, floods, fires, or mass casualty events as well. Youth (14 years old and up) and adult Scout leaders are encouraged to take this 16-hour first-aid course, which offers a management dimension that most curriculums fail to address. Participants will likely find it the most valuable program they’ll ever take. A participant who successfully completes a 16-hour WFA course based on BSA curriculum will be certified as a WFA provider. This certification is valid for two years. Participants will learn how to assess, treat, and—when possible—keep emergencies under control within the scope of their training. 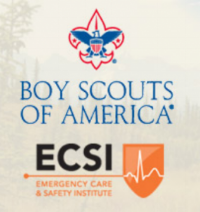 All four of the BSA high-adventure bases (HAB) require at least one person per trek (two per trek at Philmont Scout Ranch) to be current in WFA through an approved provider. Of course, having more participants trained in WFA skills is highly recommended for any high adventure or backcountry experience. Many other councils that offer high-adventure programs are encouraged to require WFA training as part of their requirements. Check directly with the local council providing the high-adventure program for details. In addition, participants in unit-centered high-adventure programs would greatly benefit from WFA skills in the event of an emergency.